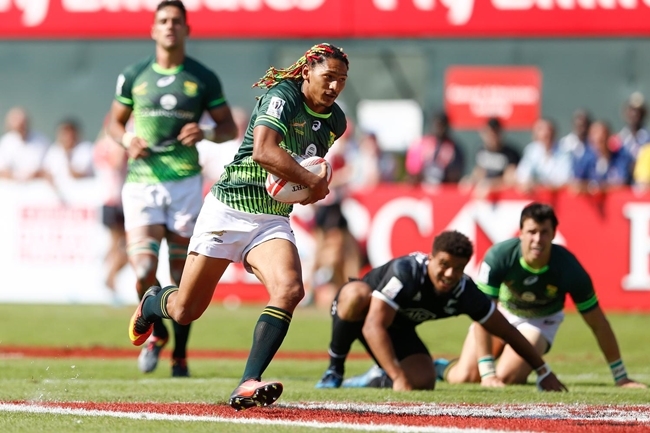 Werner Kok and Cecil Afrika, South Africa’s two World Rugby Sevens Players of the Year, described the bronze medal won by Team SA at the rugby sevens tournament of the Olympic Games in Rio as one of their career highlights. Kok and Afrika were members of the Blitzboks team that comprehensively beat Japan 54-14 in the bronze medal match to earn South Africa a first ever Olympic medal in rugby sevens. For more information on tickets for the Cape Town Sevens taking place at the Cape Town Stadium on 10 and 11 December contact Grant Wilson on 082 466 4122 or grant@belugahospitality.co.za.